The NEXT LEVEL of Pipline Rehabilitation! LEVINE & SON, INC. Offers a single access pipe relining system to rehabilitate existing building service laterals without the need of extensive digging and liability, We can provide a complete project including plumbing services with our plumber. Levine & Son Inc. can rehabilitate existing building service pipelines in diameters from 2" to 8" in less then a day and in most cases less then 5 hours! This "true" inversion method allows the Perma-Lateral™ lining materials to negotiate 22's, 45's and sweeping 90's with ease. The patent liner material allows our crews to line through 4" - 6" transitions without changing the structural properties of the liner. Only Perma-Liner™ patent Perma-Lateral™ liner materials have a reinforced scrim to eliminate stretch during the inversion process. The reinforcement scrim allows the liner to invert smoothly through the existing pipeline while preventing the liner from stretching. We are able to line an existing pipeline without inverting into city sewer mains. The Perma-Lateral™ Lining System / Cured-In-Place Pipe (CIPP) is the only system and materials to be approved for lining existing 2" to 8" diameter pipelines in the City of Los Angeles, Ca. The approval has been granted by the City of Los Angeles, Ca. Department of Building and Safety per strict Los Angeles Plumbing Code (LAPC) requirements and 3rd party testing. Perma-Lateral™ Lining Materials meet their strict non-stretch liner requirements. Only Perma-Liner™ provides patent non-stretch lining materials. 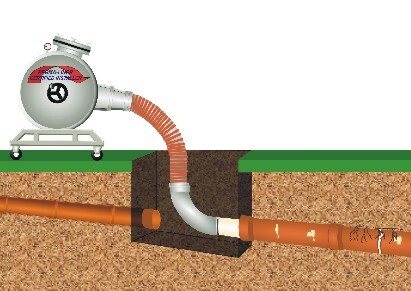 The Perma-Lateral™ liner allows the installer to invert the liner through the existing building sewer pipeline to the city main sewer connection without stretching into the city sewer main. Normal felt liners without the patent scrim can stretch into the city sewer main and cause blockages that require emergency digging and/or robotic cutting devices. 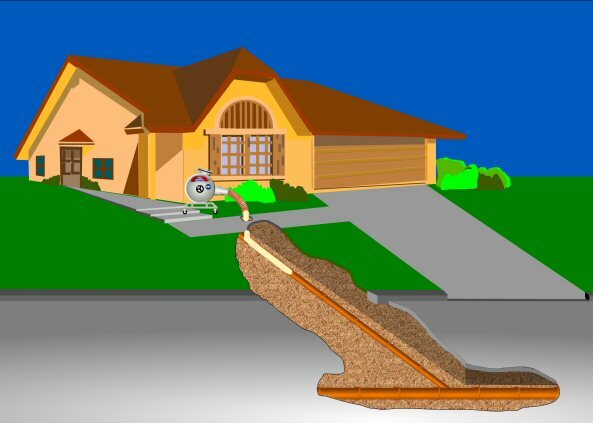 Put the underground trenchless experts to work for you.